Walking conditions – Grassy footpaths with a steady, gentle gradient. Can be boggy in places. No difficulties. Cort-ma Law was one of the first hills we took the children up. It’s a very popular and busy hill. It’s also busy with sheep, as I’ve learned form past experience. Keeping dogs on the lead would be advisable, otherwise you might have to go up and down the hill twice in one day. Start from the car park next to the shops at Clachan of Campsie (or if you prefer you can cut a bit off the walk by starting from the large car park at the Crow Road just up the hill from Lennoxtown). Make your way along the clearly signposted path going northwards for about 500 metres until you reach the car park on the Crow Road. There’s often an ice cream van here during the summer so it’s a great morale booster. From there, cross the road then make your way up the broad grassy shoulder going east. The ascent of Cort-ma Law is fairly relentless but the gradient eases off as you reach the high ground which is more or less a plateau. You will immediately notice the fantastic views over the Clyde Valley and beyond, and now it’s just a matter of continuing along for a couple of kilometres until you reach the summit of Cort-ma Law. The summit’s even got a trig point! It can however, be quite a long walk for the very young. As such, there have been times when we have turned back at one of the little high points marked with cairns along the way. 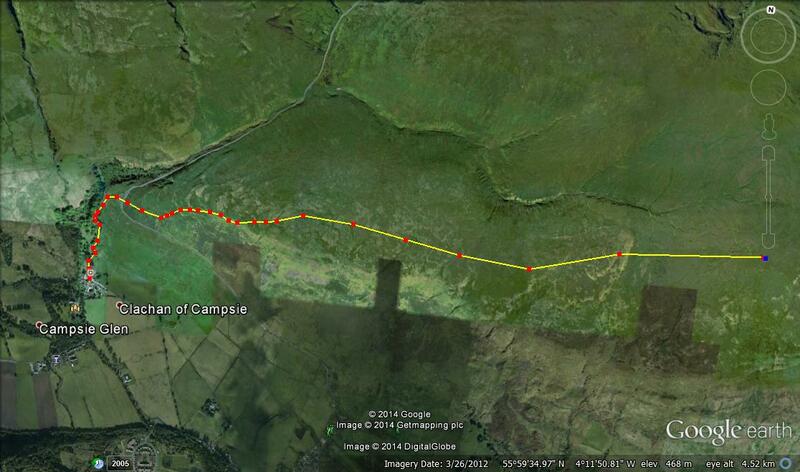 Either way, it’s an excellent high level walk along the top of the Campsies. Return via the same route. This entry was posted in Glasgow and Surrounds on January 9, 2015 by scotlandwalkswithchildren.